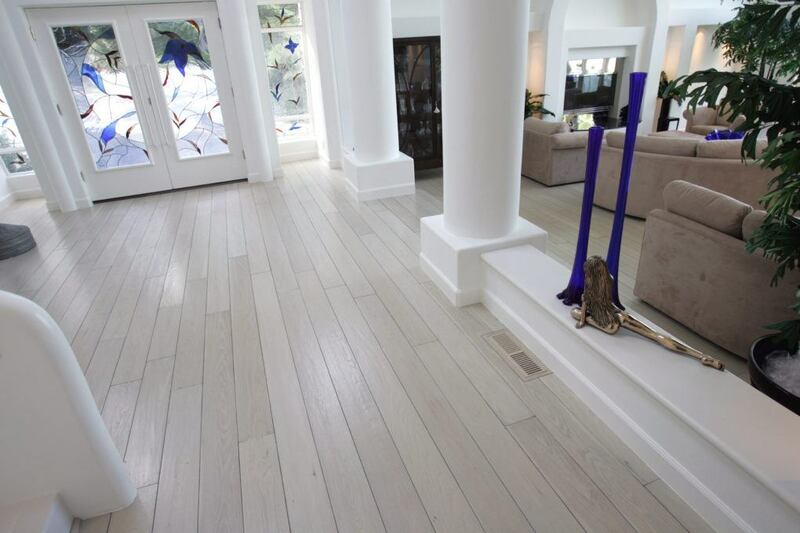 Newly remodeled Mediterranean-style house, light-filled and airy, with over 3500 sq. 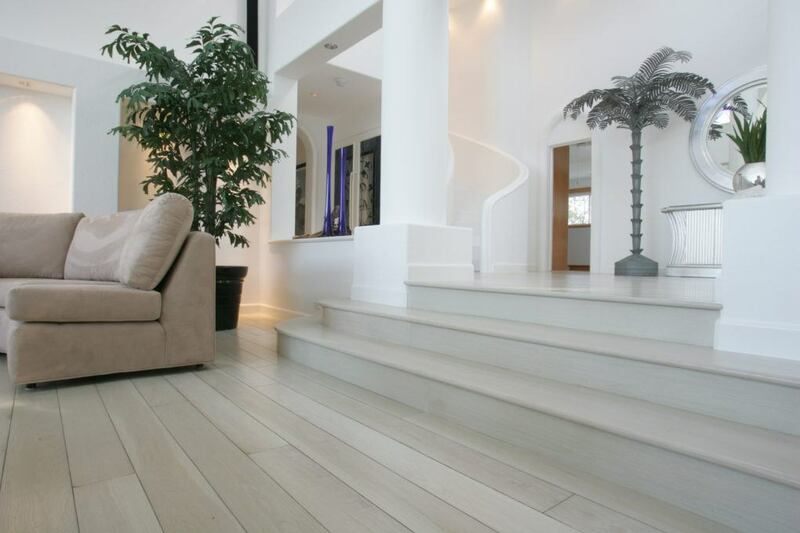 feet of custom wood flooring. 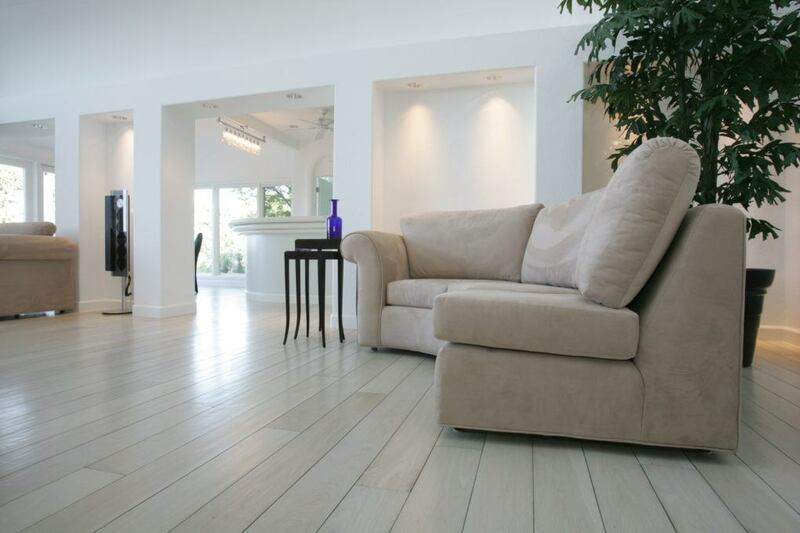 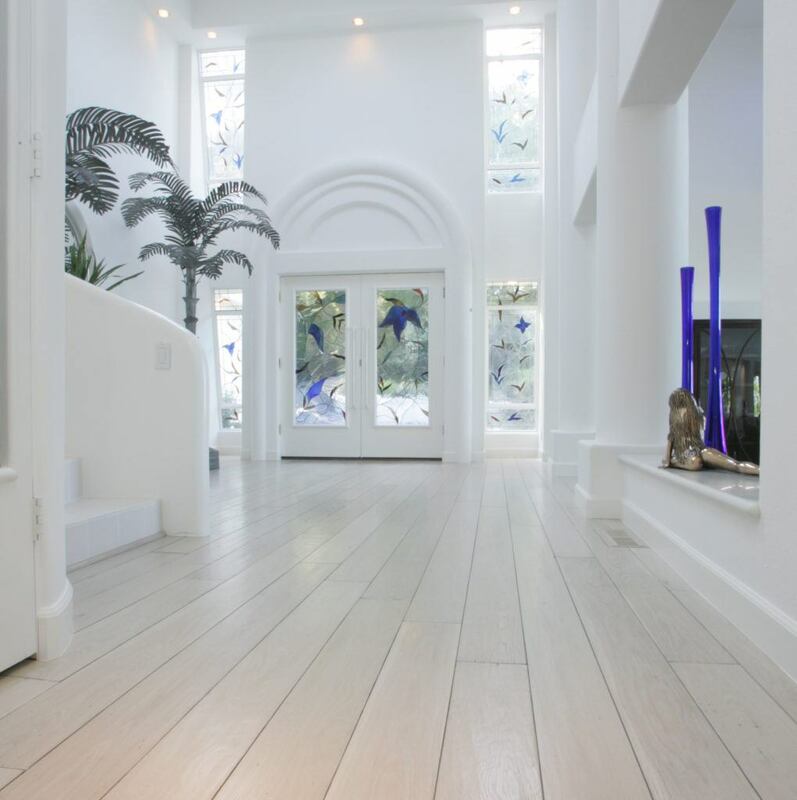 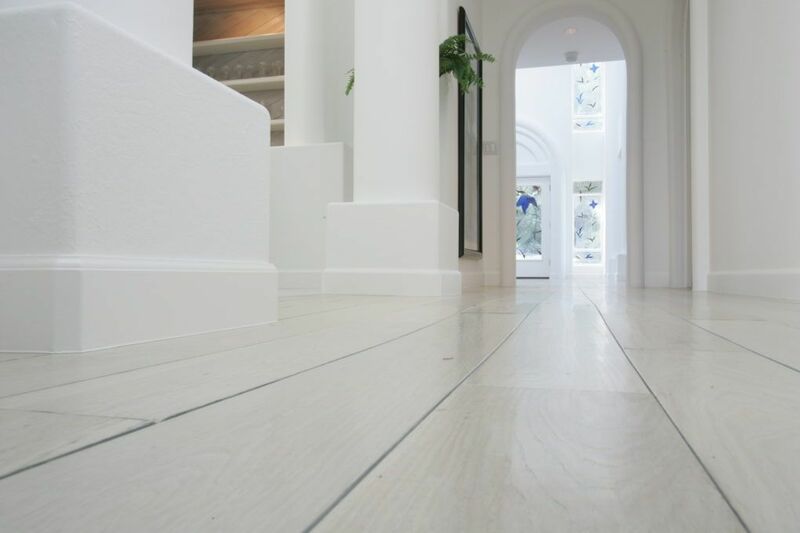 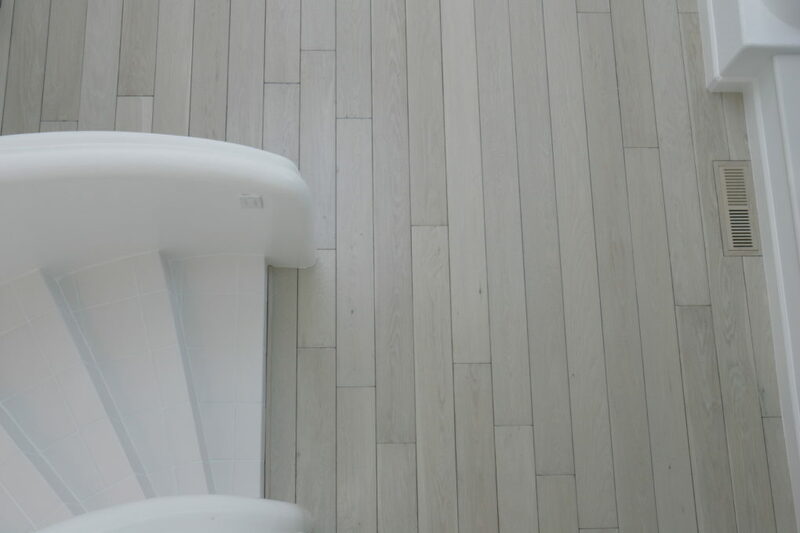 Material: Custom, hand-scraped white oak in a wide plank, white-washed and bleached prior to installation.